Wedgefield Plantation is a wonderful example of Lowcountry golf at its best. 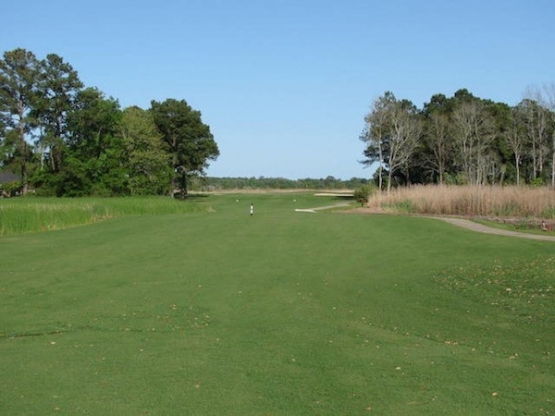 Located at the south end of the Grand Strand in Georgetown, Wedgefield brings all of the traditions and Southern charm alive as you play this Myrtle Beach golf course. Built on an old rice plantation, this 18-hole course offers breathtaking beauty as well as a challenge for all golfers. The beautiful fairways wind through the natural setting of majestic Magnolia trees, azaleas, dogwoods and century-old oak trees that are draped in Spanish moss. The golf course has many risk-reward features that will challenge even the expert golfer. The greens are TifEagle Bermuda and ensure that your putts will roll true. As you navigate your way down the fairways be sure to keep a look out for the abundance of wildlife that roam the course such as bald eagles, deer, water fowl and the occasional alligator. The course has five sets of tees to ensure that golfers of all skill levels can enjoy this wonderful course. The course measures 7,034 from the black tees, 6,590 from the blues, 6,267 from the whites, 5,826 from the gold and 4,738 from the red tees. When looking for a Myrtle Beach golf deal there is no better place to find one than a Myrtle Beach Golf Authority golf package. They offer a wide variety of Myrtle Beach accommodations as well as North Myrtle Beach condos, hotels and ocean front beach houses. The Myrtle Beach area has a huge selection of Myrtle Beach restaurants to enjoy after your round of golf such as Rossi’s, New York Prime, Ruth’s Chris Steak House, Flamingo Grill and Benny Rappa’s to name a few. Bottom line, a Myrtle Beach golf package is the perfect getaway and will be remembered for a lifetime. Book yours today!